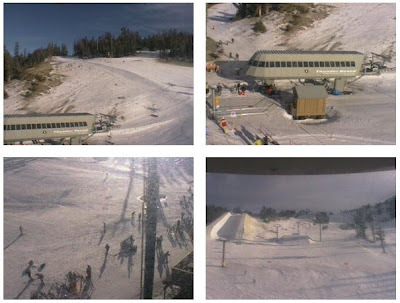 Vacation Barefoot Travel Blog: Mammoth Mountain webcam - there's snow! Mammoth Mountain webcam - there's snow! If you're in California here's a nice link to webcams up at Mammoth Mountain. Sure, the snow-pack is a little light, 2 feet, for this time of year, but there is snow. At the time of this post, 3pm, it was a nice 40 degrees up in Mammoth.